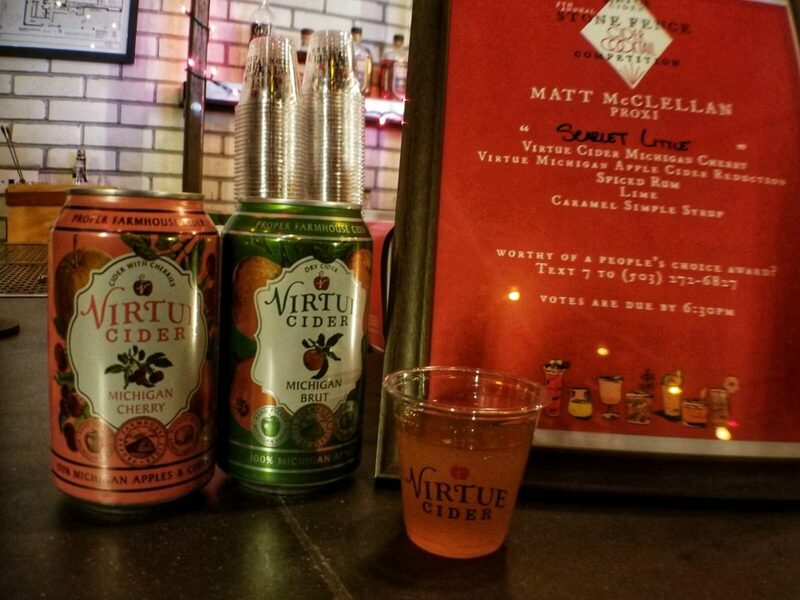 On January 20 Vitrue Cider held their annual Stone Fence Competition. This year saw a new venue and new competitors. As always, we enjoyed the unique takes on the traditional Stone Fence Cocktails. We profiled every cocktail on IG, but here were some of our favorites. 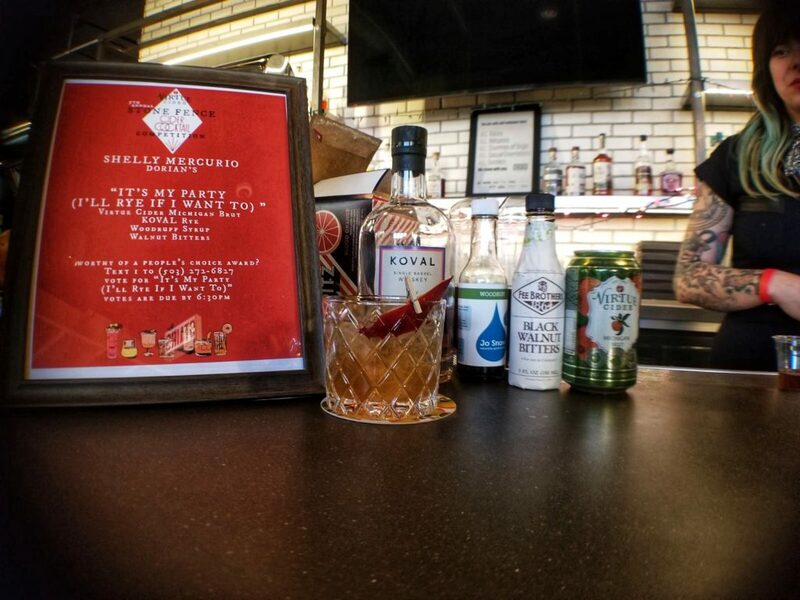 This was Shelly’s 1st cocktail competition and we think she did a great job. The use of the Koval rye and wooddrift syrup gave the cocktails a cozy fireplace feel. The semi-sweet notes from the syrup were rounded out by the black walnut bitters. Abe’s cocktail inspiration, his mom’s pear & apple compote, was evident in the drink. Citrus flavors lingered through the cocktail with a pleasant baked apple finish. Matt won the competition with his take on a daiquiri. 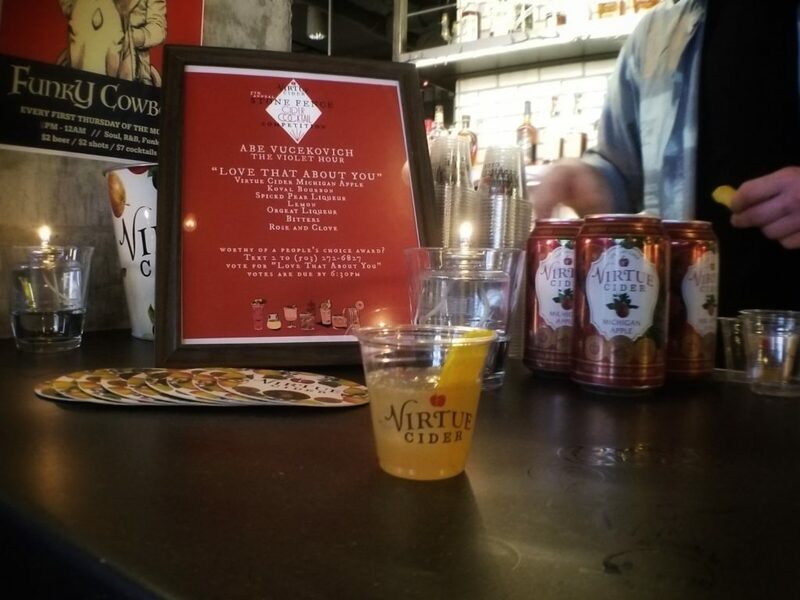 Staying true to the original Stone Fence with his use of spiced rum and a syrup made from reduced Virtue MI Cherry, Matt was able to transform his interpretation into the classic, tropical drink. 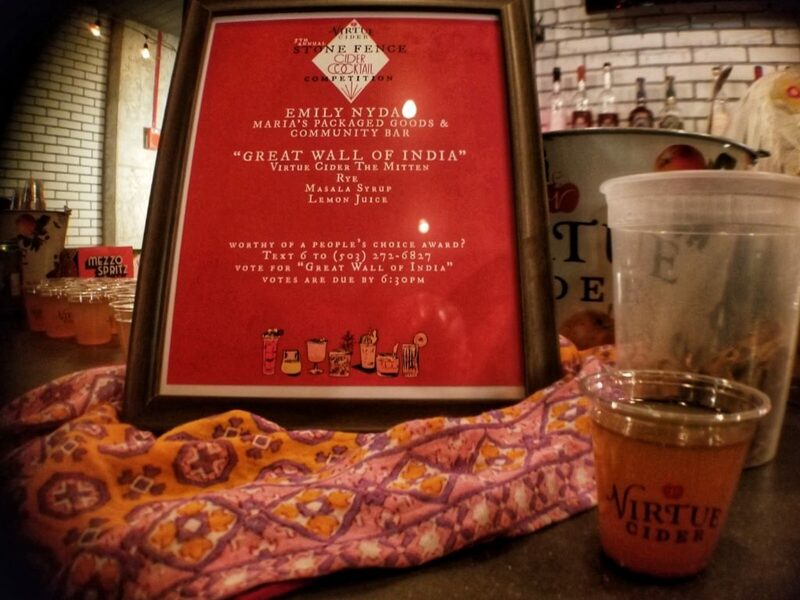 Emily’s simple cocktail showcased the Koval Rye and Virtue Mitten. The masala syrup and garam spiced apple chips added a bit of body and gave the cocktail a slightly spiced, warm flavor. This cocktail from Jonathan had a campfire fell with the smokiness from the Lapsang souchong tea syrup. 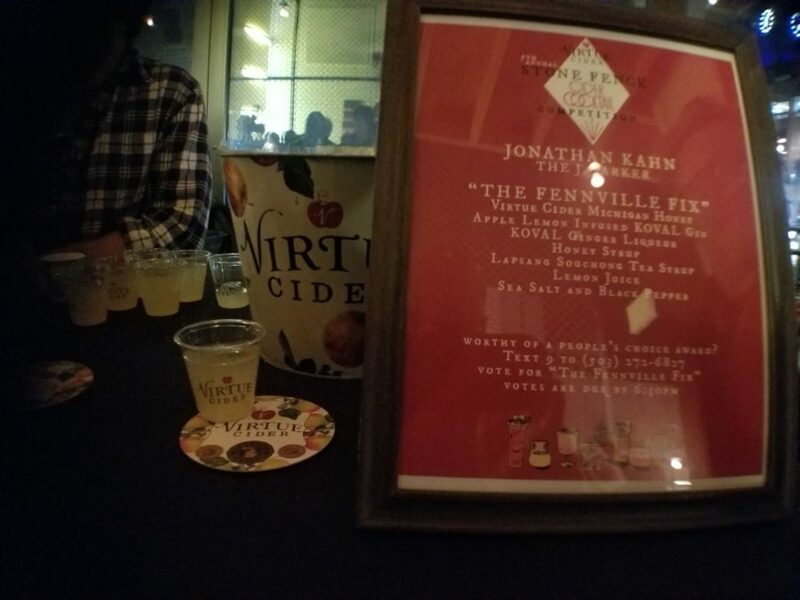 The use of the Koval Gin added a herbal notes to complement the Virtue MI Honey and ginger liqueur.